The Keuka Lake Wine Trail invites visitors to celebrate the beginning of summer with Barbecue at the Wineries. Enjoy this ever popular food and wine event on your choice of two weekends, June 9-10 or June 23-24, 2012. As a new addition to the event, each of the eight participating wineries will use a different Dinosaur Bar-B-Que sauce or rub in the food served. From Cabernet Franc to Riesling, ticket holders will have fun exploring how well local wines complement mouth-watering barbecue and summer side dishes. Weekend tickets and Sunday Only tickets are available for this self-guided tour around beautiful Keuka Lake, which includes wine tasting matched with food samples and a souvenir wine glass. Event hours are Saturday 10 a.m. to 5p.m. and Sunday 11 a.m. to 5 p.m.
"The Keuka Lake Wine Trail has a fantastic range of wines with some impressive member wineries. We're looking forward to seeing how the wineries creatively use our award-winning sauce collection...what a scenic place to visit for enjoying the flavors of barbecue and refreshing wines! says Emily Launt, Syracuse Dinosaur Bar-B-Que Catering Manager. A selection of the food served will include pulled pork sliders, Southern-style potato salad with Cajun Foreplay Spice, smoke beef brisket with Wango Tango sauce, and roasted mojito chicken with dirty rice. Tickets may be purchased online at www.keukawinetrail.com, by phone 800.440.4898, or at any Wegmans customer service desk. Weekend tickets are $25 per person and Sunday Only tickets are $19 per person. Designated driver tickets are available at a $5.00 discount. Large groups should contact the Wine Trail office to confirm their itinerary prior to booking through a transportation company. To receive the latest event updates and previews, find the Keuka Lake Wine Trail on Facebook. 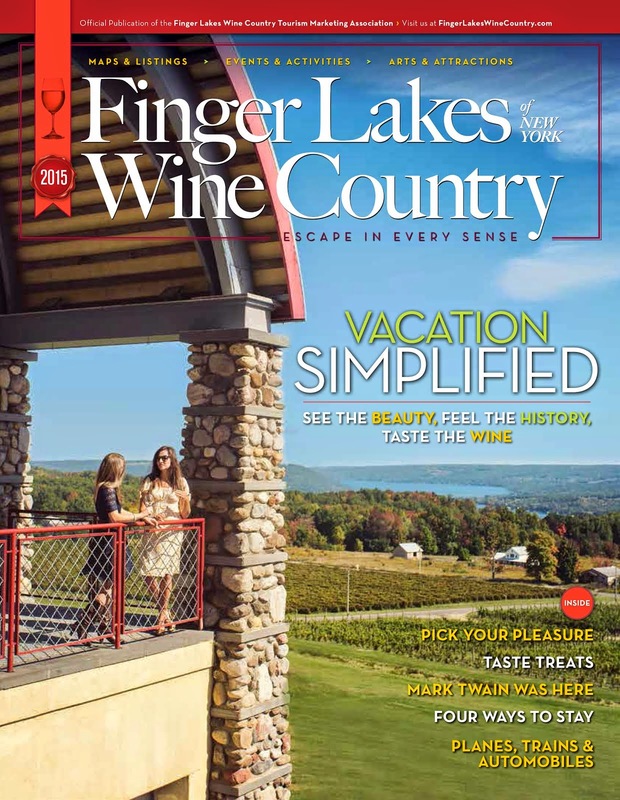 Established in 1985, the Keuka Lake Wine Trail aims to provide a high-quality, lively experience where guests will feel excited by the food, wine and scenery and stimulated by the conversation. Member wineries include: Heron Hill Winery; Dr. Konstantin Frank Vinifera Wine Cellars; Stever Hill Vineyards; Hunt Country Vineyards; Keuka Spring Vineyards; Barrington Cellars; McGregor Vineyard Winery; and Ravines Wine Cellars.